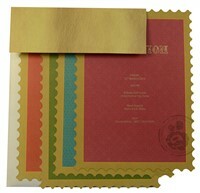 D-6284, Gold Color, Shimmery Finish Paper, Multicolor Offset Cards, Hindu Cards. White shimmer paper (250gsm) for STAMP theme multicolor card, mailing envelope. 4 inserts and left and right pasting. 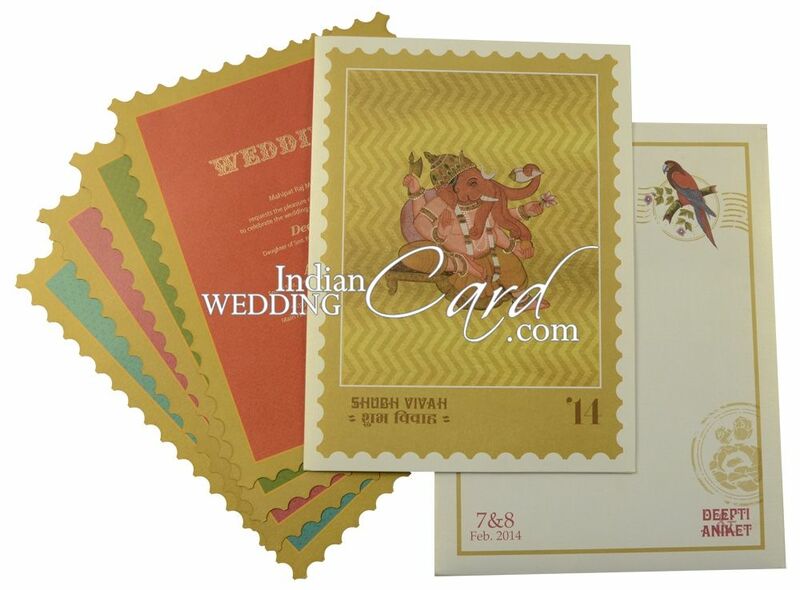 Inserts depict various wedding events.